Caio Rolim was born in São Luís, in the northeastern part of Brazil, and moved to the southeast of the country to study Mechanical Engineering at the University of São Paulo (USP), and also studied at the University of Stuttgart in Germany. Caio has worked in areas such as Strategic Consulting, Fintech and Government. However, he found his way into working with social causes, motivated by a trip in 2014 through Cambodia, Myanmar, Laos, Sri Lanka, Vietnam, Palestine, Egypt, and South Africa, when he realized that one of the greatest contributing factors to poverty was having an underdeveloped public sector. Then, he returned to Brazil and started to work with government and public policy, which led him to found the supra-party NGO Legisla Brasil, of which he is president today. The organization attracts, selects, and trains talents to work as parliamentary advisers in the offices of councilmen, deputies and senators. 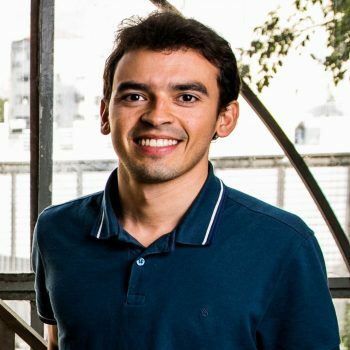 At Amani Institute, he wants to become the best version of himself to contribute to the development of Brazil in the areas that he considers to be a priority, as he joins a global network of people who seek to solve the greatest challenges of our world.